this initiative, Atmosphere invites designers to create spaces in their signature style, using products from their new collection. The Atmosphere Collaborative will now showcase and promote this creative talent, sharing it with a much wider community, facilitating conversations and connections. Ashiesh has created two spaces using Atmosphere’s new collection. One is an African themed living room that could be in Upper East New York, and the other, a bedroom inspired by a contemporary London loft. Rid Burman who is primarily a fashion photographer, did the shoot and the end result is quite different from the usual interior shoots. Each product finds its raison d’être when a designer brings it to life with his or her imagination. So collaborations with designers have always existed. We decided that a platform that recognizes exceptional talent from the industry would be the best way to mark our 10th anniversary. Seeing Ashiesh juggling with our Collection 2015 fabrics was absolutely delightful. 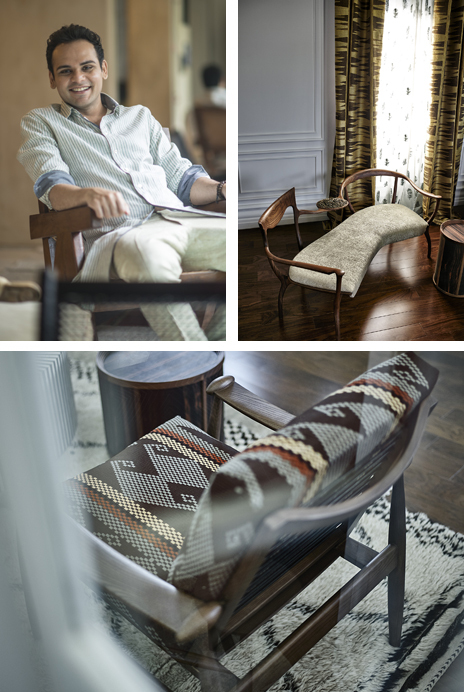 He could so easily combine and layer contrasting fabrics within a space, making it all come together so wonderfully. The rooms were created at our mill, which rich in its history, is a perfect backdrop for the launch of the Collaborative. 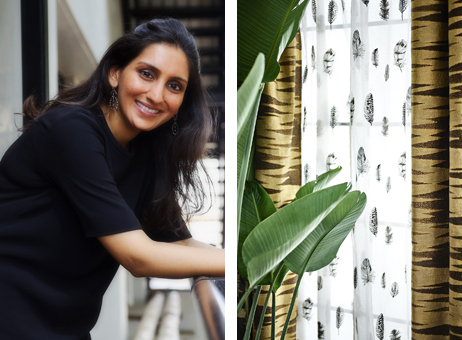 Few know that Himatsingka Seide, the producer for Atmosphere’s wide range of furnishing fabrics, also produces home textiles for the world’s best brands like JAB, Kravet, Zimmer+Rohde, Robert Allen, Osborne & Little, Sahco and Dedar. "Atmosphere definitely meets international standards when it comes to quality of their product and technique of production. Their aesthetic sense is one of the industry’s very best. Furthermore, being around for over a decade, they have stood the test of time." I want the timelessness of these spaces to be apparent. While they effortlessly evoke a contemporary feel, these spaces are still rooted in tradition. The rooms also have an interesting balance of elements, inspired by the Japanese philosophy of Wabi Sabi. Just like an average city apartment, we’ve also kept the rooms compact, but they are infused with a sense of luxury and a unique aesthetic appeal.